If you have any documents, clothing, or even furniture in storage you need to know some effective home remedies for silverfish. These insects aren’t particularly harmful, so you don’t need to worry about them biting you or your children, but they can cause your home to become unhygienic, and damage things like clothing or the wallpaper. Sometimes, because silverfish like damp and dark places, you may not even realize that you have a problem until you finally go through that box of paperwork or get something from the back of the cupboard and the silverfish come scurrying out or you notice damage to your things. If you have any dry food items that have been left open overnight or in the cupboard, you may find silverfish in there too. They are a nuisance, but not to worry. 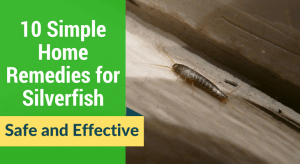 Not only will you find natural ways to get rid of silverfish in this article, but tips that will help you to prevent them invading your home. Silverfish are wingless insects and despite their name, they do not live in water or swim. They have long bodies that taper towards the end with six legs around the top part of their bodies and antennae on their heads. They look fish-like because of the tapering of their bodies and the filaments that extend from their tails. Their color ranges from white to dark grey and they are usually no bigger than an inch. Their main sources of food include dry foods, fabric, paper, and dead cells, though they can live for an entire year without eating. A female silverfish can lay around 20 eggs a day, so even if you only see one silverfish, you may have an infestation on your hands and, unfortunately, their eggs are very hard to see. This is why it’s so important to get rid of the silverfish as soon as possible. These home remedies for silverfish are safe and don’t require the use of any harmful chemicals. Diatomaceous earth is bad for insects but not for people or pets. It works by breaking down the exoskeleton and dehydrating the silverfish. Sprinkle some in dark and damp areas like the bathroom (especially under the sink), kitchen cabinets, cupboards, and bookcases. Use it the same as you would the diatomaceous earth. This method takes a little bit longer so you will need to sprinkle the salt regularly, but it is effective. Silverfish like to eat salt but it dehydrates them. They will also take the salt back to share with the other silverfish. Silverfish hate the smell of cloves. Cloves also contain a substance called Eugenol which is a natural insecticide. All you have to do is place a whole clove in each place the silverfish frequent. If they aren’t repelled by the smell first they will end up dying from the cloves. Because they enjoy eating paper and like damp places, this trap works really well. Dampen some newspaper, you can roll it up, and then put dry newspaper around the damp newspaper to form a tube and secure each end with a rubber band. Leave it overnight. In the morning, you should find silverfish in the roll. You can now dispose of them. Take a jar and put a piece of bread, some cereal, flour, or even a piece of newspaper inside. Cover the outside of the jar in masking tape so that the silverfish can climb up and into the jar and leave it overnight. The inside of the jar is too slippery for them to get out. In the morning, you can just dispose of them. If you prefer not to kill them, you can repel them. Another scent that Silverfish hate is cinnamon. Since using essential oils and powders on your clothing isn’t always advisable, you can take cinnamon sticks and put them in your cupboards and drawers to protect your clothing. You can also place the sticks as you would the cloves. Mix drops 10-20 drops of essential oil with water or alcohol in a spray bottle and spray it in dark, damp places and near any cracks. Spray some more once the fragrances start to fade. As you saw by the list of the essential oils, silverfish don’t like citrus scents. You can throw the peels into any dark and damp areas and just replace them with new ones every few days. You can also use the juice of a citrus fruit, lemon is a great option, and mix it with water and spray it in those areas. Strangely enough, this is another thing that will send the silverfish fleeing. Just as you would use the citrus peels, throw cucumber peels in dark and damp areas and replace them every few days. Keep dry foods including pet food sealed. Containers with lids will work well. Clear the clutter. Throw out any old documents, newspapers, magazines, and donate old clothing or linen that you no longer use. Otherwise, keep them well sealed and add some cinnamon sticks. If the area you live in is very humid, consider using a dehumidifier, especially in the basement. Keep your bathroom well ventilated. Fix any leaks to prevent damp and seal cracks in the walls and around the doors and windows where they can get in. Caulk is a good option for sealing cracks. 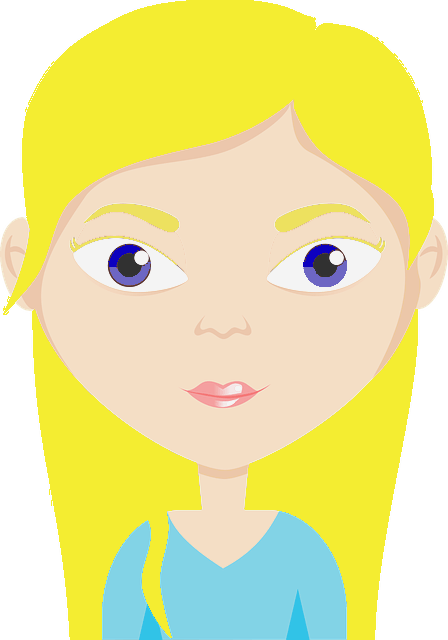 would one treat earwigs the same way has silverfish?